Customize the quantity of minerals in your worlds. Custom Ore Generation 1.7.2 and 1.7.10 is a mod that allows us to customize the number of times that a minearla appears in the Minecraft worlds. Thanks to a new selection menu with options that will allow both select which minearls you want to appear and how they are spread along the world. To access this new menu, start like if you waned to create a new world, and you will see that just below the game mode button, you will find a new button called “Custom Ore Generation”, which will allow you to access to the customization menu. 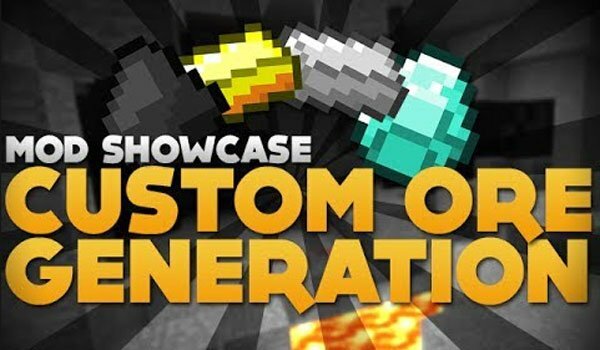 How to install Custom Ore Generation Mod for Minecraft 1.7.2 and 1.7.10? Double click the downloaded forge to run the Forge installer. Customize the quantity of minerals you want in your Minecraft worlds!